By keeping track with the modern trends, we are bringing forward a wide series of Selec Meter to our valued patrons. 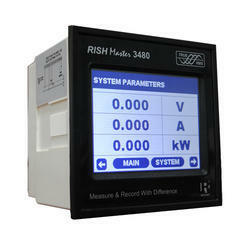 Our company is highly rated in offering Digital Panel Meter. With the aid of our technologically advanced production unit, we are able to offer Alpha Series Digital Panel Meter at economical prices. With the help of skillful team, we are providing Digital Panel Meter. Wide range of inputs– Current (4-20mA), Voltage (0-10V), Frequency (0-10kHz), R.T.D (Pt-100), Potentiometric (3/2 wire), Thermocouple (K, J, R, S, T) etc. MBTherm range Digital panel meters (DT-201P and DT-201PA) are advanced universal input panels meters with high intensity display. 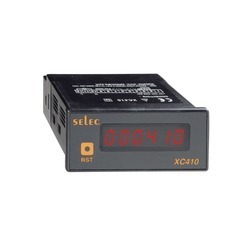 These meters can be used to display any analog parameter and provide alarm indication (for model DT-210PA).